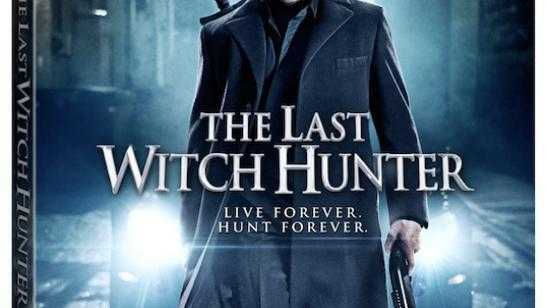 Vin Diesel, Elijah Wood, Rose Leslie, and Michael Caine‘s journey in Breck Eisner‘s supernatural adventure The Last Witch Hunter (2015) will be releasing on Blu-ray/DVD this upcoming February 2, 2016, via Summit Entertainment. The Digital HD release will come much sooner on January 12, 2016. Not a bad timing for many of you who may have missed the theatrical release. Press Release: SANTA MONICA, CA (Dec. 7, 2015) - Vin Diesel (Fast & Furious and Riddick franchises) battles to protect mankind from the ultimate evil inThe Last Witch Hunter arriving on Digital HD on January 12 and Blu-ray(TM) Combo Pack (plus DVD and Digital HD), DVD (plus Digital) and On Demand on February 2 from Summit Entertainment, a LIONSGATE company. Diesel stars as the heroic Kaulder, a legendary warrior sworn to protect the modern world from treacherous black magic and prevent the Queen Witch from returning. With stunning special effects, the film also features Elijah Wood (Lord of the Rings trilogy), Rose Leslie (HBO’s "Game of Thrones"), Julie Engelbrecht (Before the Fall), and two-time Academy Award(R) winner Michael Caine (Best Supporting Actor, The Cider House Rules, 1999; The Dark Knight franchise), who assist in his quest to save our civilization. Kaulder is an immortal witch hunter who has spent centuries tracking down those who practice evil magic. When history’s deadliest witches resurrect their bloodthirsty Queen Witch, Kaulder becomes humanity’s last hope as he clashes with the supernatural in an epic battle for the ages. The Last Witch Hunter is packed with special features including a behind-the-scenes featurette, animated shorts from Deviantart, the "Paint It, Black" sizzle reel from Ciara, deleted scenes and audio commentary with the director. The Blu-ray release also includes next-generation DTS:X immersive audio, which replicates and conveys the fluid movement of sound to create a richer soundscape by moving sound to precisely where the audio mixer placed it. The Last Witch Hunter will be available on Blu-ray and DVD for the suggested retail price of $39.99 and $29.95, respectively. 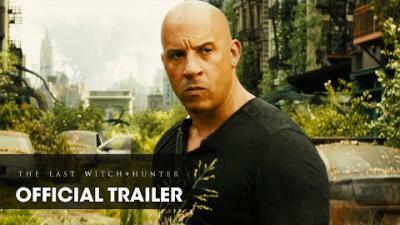 The Last Witch Hunter Sizzle Reel / "Paint It, Black"
Title Copyright: The Last Witch Hunter (C) 2015, Artwork & Supplementary Materials TM & (C) 2016 Summit Entertainment, LLC. All Rights Reserved. Official Synopsis: The modern world holds many secrets, but the most astounding secret of all is that witches still live amongst us; vicious supernatural creatures intent on unleashing the Black Death upon the world. Armies of witch hunters battled the unnatural enemy across the globe for centuries, including Kaulder, a valiant warrior who managed to slay the all-powerful Queen Witch, decimating her followers in the process. In the moments right before her death, the Queen curses Kaulder with her own immortality, forever separating him from his beloved wife and daughter in the afterlife. Today Kaulder is the only one of his kind remaining, and has spent centuries hunting down rogue witches, all the while yearning for his long-lost loved ones. However, unbeknownst to Kaulder, the Queen Witch is resurrected and seeks revenge on her killer causing an epic battle that will determine the survival of the human race.